The Majestic has the proud distinction of being of the oldest and longest-operating hotels in San Francisco. Built in 1902 by the Schmitt Family, the original Majestic Hotel had 29 washbasins, 25 bathtubs, 30 water closets, 57 guest rooms and was only four stories high. It replaced the Schmitt family residence, which was across the street on Gough Street, built around 1877 for Maurice and Ella Schmitt following their marriage on May 3, 1876. Milton L Schmitt, was the eldest son of Maurice and Ella Schmitt, born on February 4, 1878, and had two daughters. He attended the University of California and graduated from Hastings College of Law in 1899. While continuing to practice law, Milton became interested and involved in politics as early as 1907. In 1908, he was elected to the California State Legislature. His term began in 1909 and continued through 1915. One of his most significant contributions was securing passage of several bills amending the McEnerney Act, which dealt with the restoration of land titles in San Francisco following the 1906 Great Earthquake and Fire. Interestingly enough, it is said that Mr. Milton’s daughter, Lisa, who lived in room 407, still haunts the Hotel today. It is her portrait that is adorned in the lobby. Ghost tales and articles of “eye-witness” sightings are published through the Internet. The Great Earthquake of San Francisco awoke the city at 5:12 a.m. on April 18, 1906 with a magnitude of 7.9. This earthquake’s epicenter was on San Andreas Fault, just two miles off the shores of San Francisco. The quake was so intense that it could be felt from Oregon to Los Angeles. Over 3,000 casualties were reported. Worse than the earthquake and aftershocks were the raging fires that burnt throughout the city. According to Wikipedia, “90% of the total destruction was the result of the subsequent fires. Over 30 fires, caused by ruptured gas mains, destroyed approximately 25,000 buildings on 490 city blocks.” The fires continued on until Van Ness Ave. Just atop a short hill on the corner of Sutter and Gough streets was the Majestic, which stood tall and remarkable, remaining open for business! Because it was spared from the devastation, the Hotel has been proclaimed the “longest operating hotel in San Francisco” by Senator Diane Feinstein in 2002. In 2011, around the anniversary of the Great Earthquake, the Smithsonian National Museum of American History released never-before-seen photographs taken by Frederick Eugene Ives from atop the roof of the Hotel Majestic. The pictures showed the aftermath of the earthquake and fires in the City. More photos and full articles can be read on SFgate.com and Dailymail.co.uk. 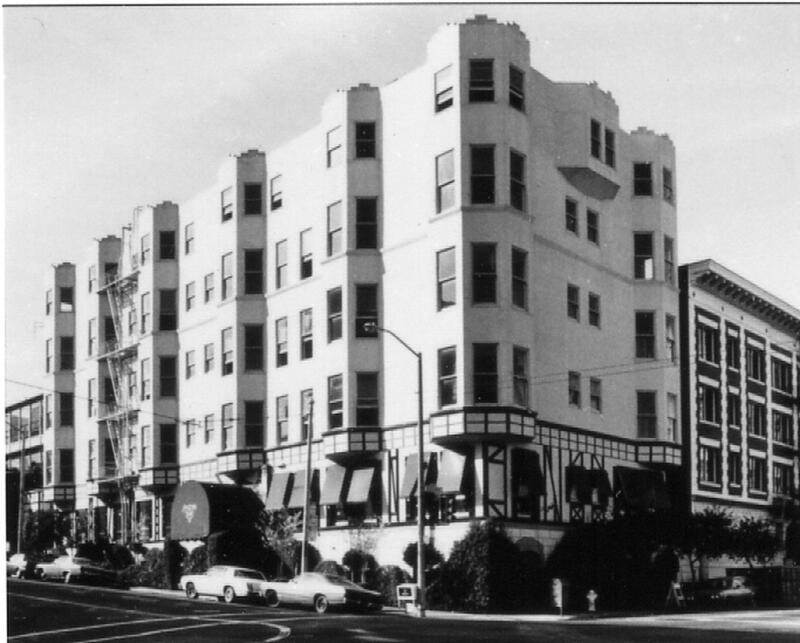 In 1965, owners Adrian E. Scharlach and Jacquelyn, G. Scharlach completed construction of the fifth floor of the Hotel, bringing the total of guest rooms to 58 and establishing fire service for the first time. 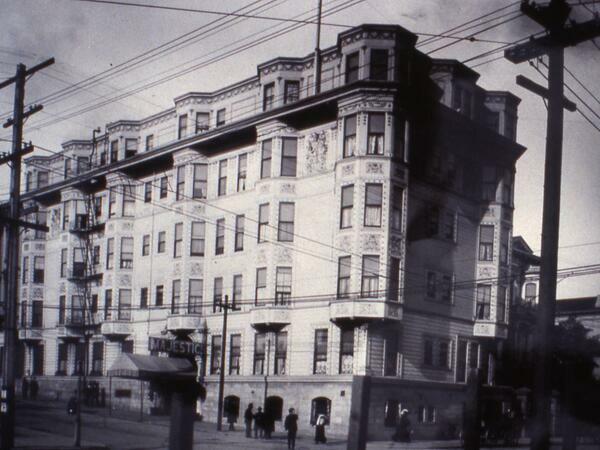 Then in 1985, the Hotel Majestic was bought by a limited partnership, which thoroughly restored the hotel to great grandeur and elegance under the watchful eye of the San Francisco Historical Society. Current ownership includes the story of a poor immigrant who was the descendent of a family of farmers. He moved to the states looking for higher education and the “American Dream.” Eventually, he settled in San Francisco in 1964. He worked odd jobs at the most famous San Francisco hotels, including the Mark Hopkins and the Fairmont atop Nob Hill. After working his way from the bottom to the top, he realized his goals and now proudly owns the prestigious Hotel Majestic!